Christmas all over again! – Nice dress! Thanks, I made it!! Hi there. Your book looks amazing. Id want to take a vacation day just to read it in one sitting. I dont know much about sewing but I thought I’d share a comment my daughter shared with me–she works in the clothing industry. I wanted to purchase 2 pairs of pants, she told me to buy a size x in this one style but a size y (size bigger) in the other style because of the cut. You had mentioned about where to measure your chest in order to determine size. Even in the fashion clothing industry sizes fluctuate. BTW Im not a size x, I just didn’t want to put in my actual size. Is the pea coat finished? I wish most of all that store sizing could be the same! Good thing your daughter knows her business! The pea coat only needs hand sewing now – getting close to it’s “REVEAL”! I’m impressed with this book (even if it’s not spiral bound) because it sounds like it hits the right level of simplicity and complexity. I wish I could say the same for my iPhone 5 book. Useless. I’d heard about choosing either bust or hip measurements depending whether your making tops or bottoms. The book sounds fab! 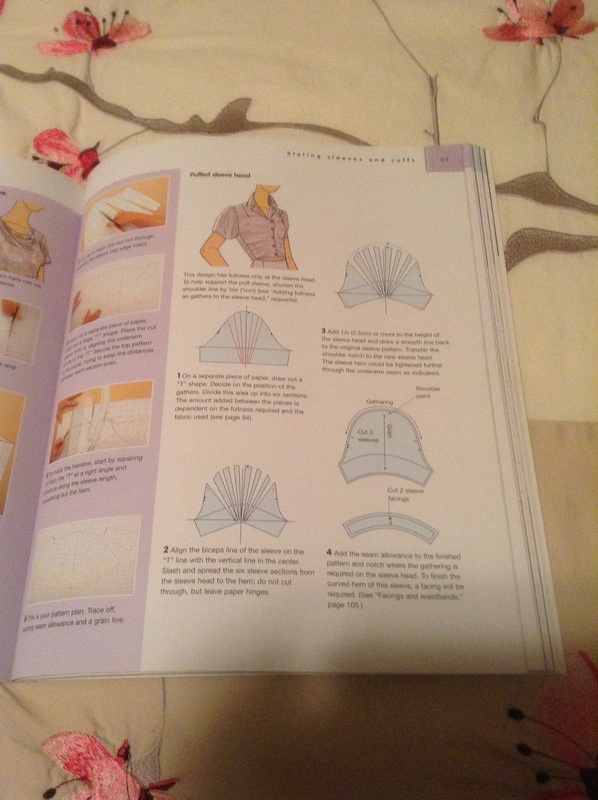 I’ve just started reading a book I’ve had 21 years that I ought with my overlocker, but always thought it looked too complicated. ! I’m wondering if I’d have read it when I bought it, would I have spent all my life working for the ambulance service?!?! 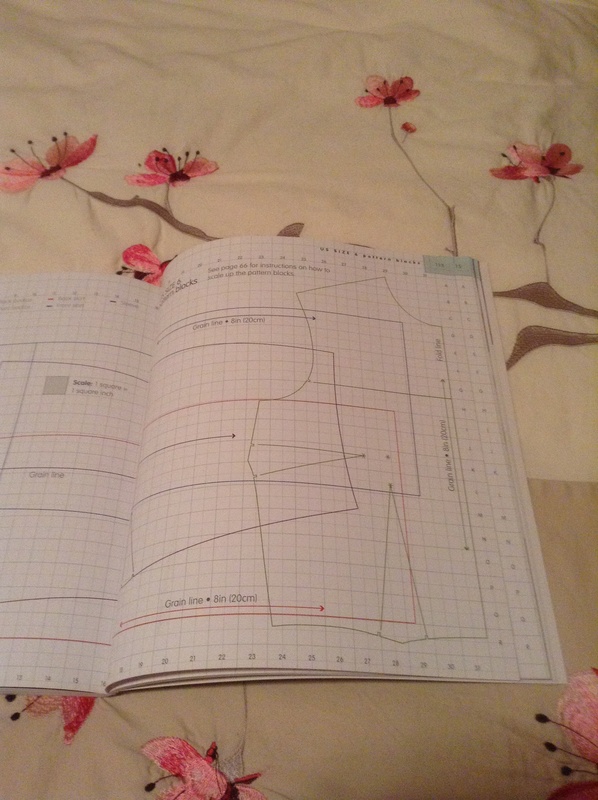 It’s a book about measuring yourself from every angle and adjusting/drafting patterns properly, written by Betty Foster and comes with tissue patterns to adjust to your measurements (still in the packet) and sketch pads to help create garments from your blocks. She says to measure your bust measurements separately – front and back from just below the arm pit. Since I read it the other day I’ve adjusted my dress form – I narrowed the bust to my under bust measurement, making the back bigger and putting her a bra on – it’s much more like me. 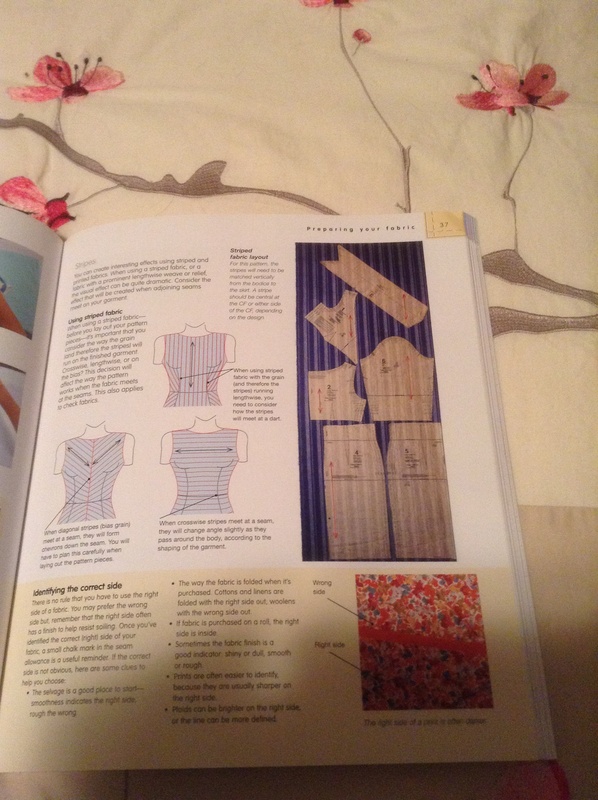 I really want to learn too, hopefully it will save a fortune on patterns, and will help when refashioning my old clothes. 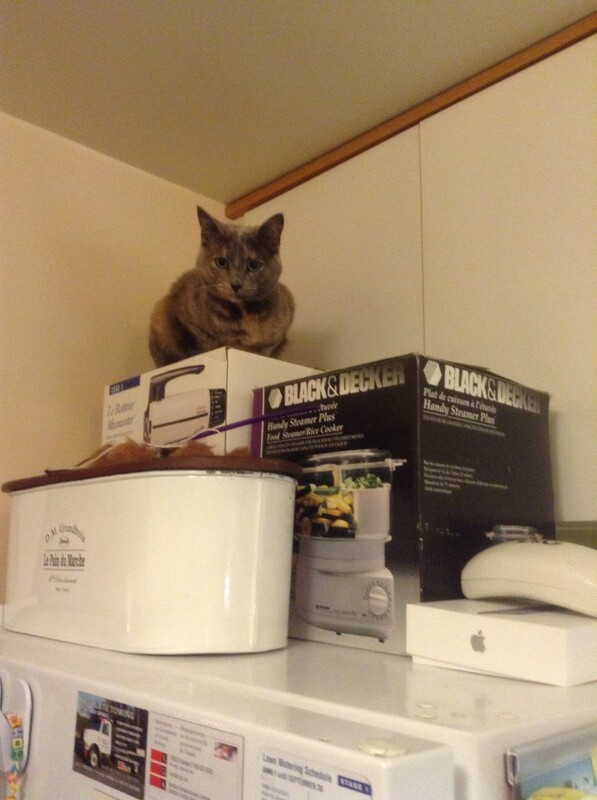 I’m going to have to re-measure myself, and check out Dolly, to see if it works better – good idea! I will be checking this book out! Sounds like a good one and one I need. I certainly am happy with it! 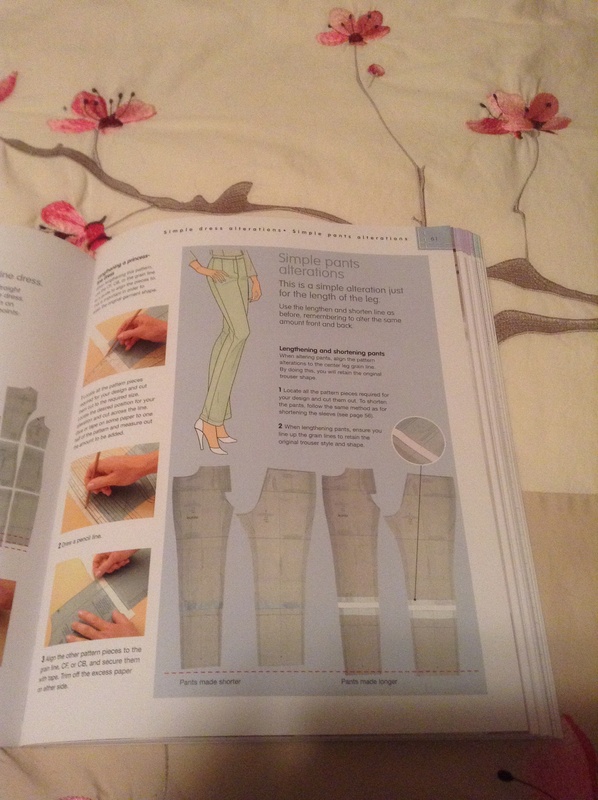 I usually buy and cut patterns according to my bust for tops and dresses, and hip measurement for pants and skirts. They are always too big and I have to remember to cut a size smaller. I think that’s why many people suggest going by the upper bust number–because commercial patterns often have a lot of ease built into them. Ugh! Such a puzzle! I guess there is no sure thing, we just have to keep measuring and checking. Thanks for reading my blog and the helpful comment! I’m a new convert to using the upper bust and then making any adjustments. Of course, I’ve only tried it once so far, but you get such a better fit in the shoulders. Will definitely be using that approach going forward. I haven’t decided which method to use. Guess I could try both and see what happens?